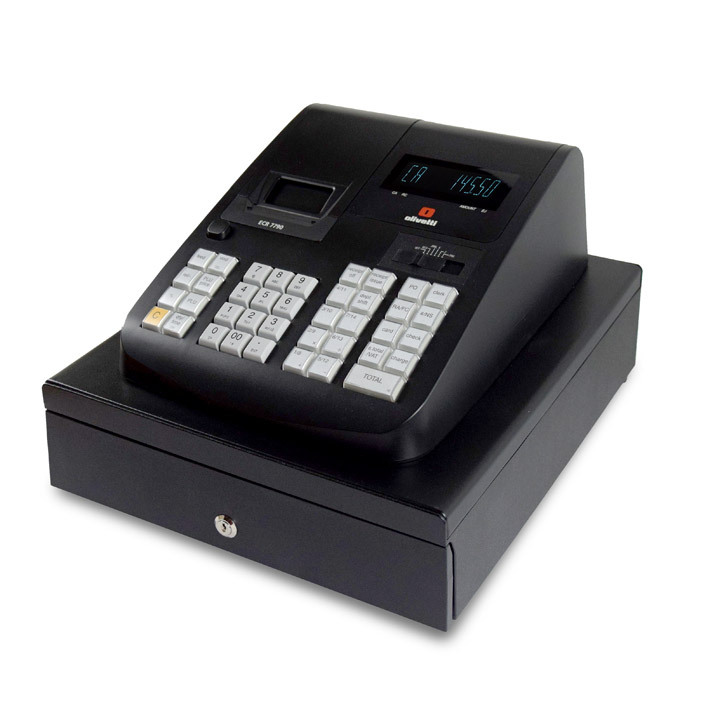 Compact Olivetti stylish design: ECR 7790 is the cash register suitable for small-medium retail shops. 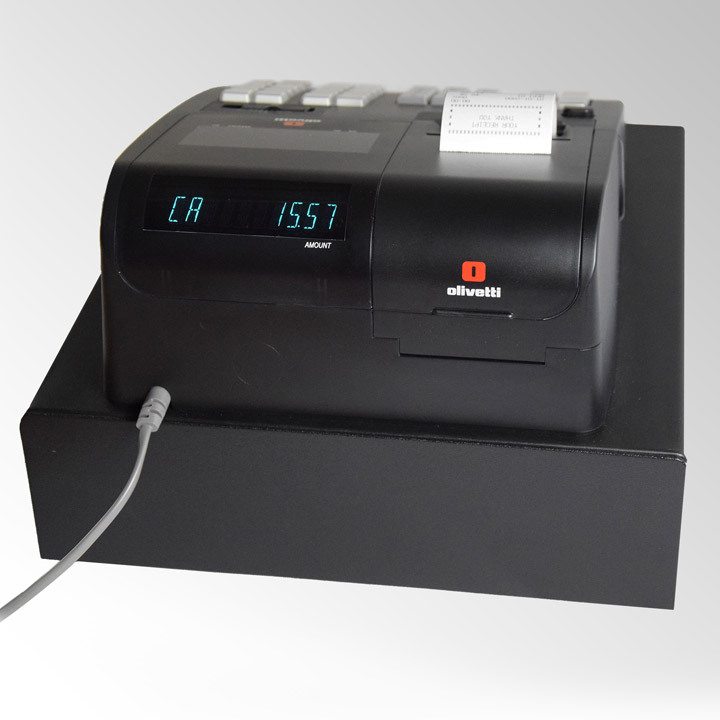 The fast thermal printer provide silent receipt printing, two high-luminosity alphanumeric displays, for operator and customer, are easy readable in any light condition and the new function selector guarantees ease of use. Designed to help your business grow, is packed with 40 departments, up to 999 PLUs, 8 clerk’s codes and 4 payment’s methods.